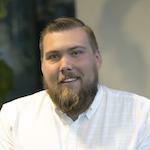 All new hires have a similar set of questions, and need the same information to get setup. By giving your new hires a list of common questions to ask, you teach them about Spoke, AND save yourself from answering the same questions each time someone is hired. Want to make sure that no new employee is left behind? 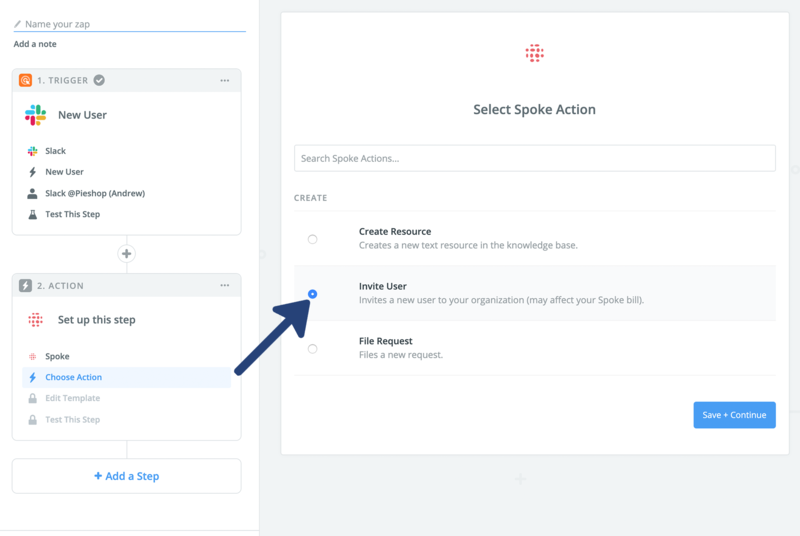 This Slack-Spoke integration enables you to effortlessly invite new users to Spoke when they join your company's Slack. 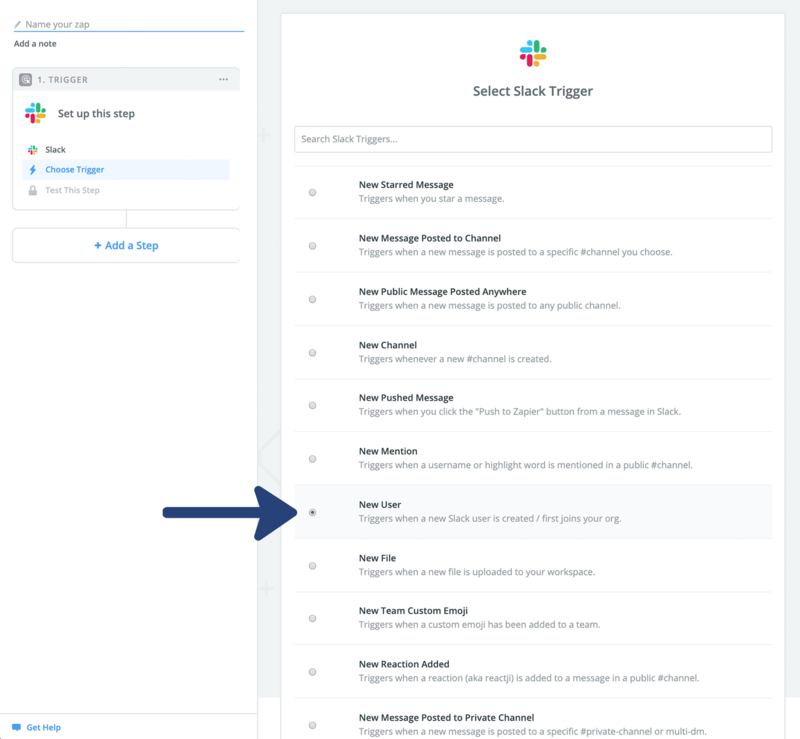 Begin by logging into Zapier and searching for Slack. Choose “New user” as the trigger. This means that each time a new user is added to your Slack workspace, this workflow will trigger. Select “Invite User” as the action. 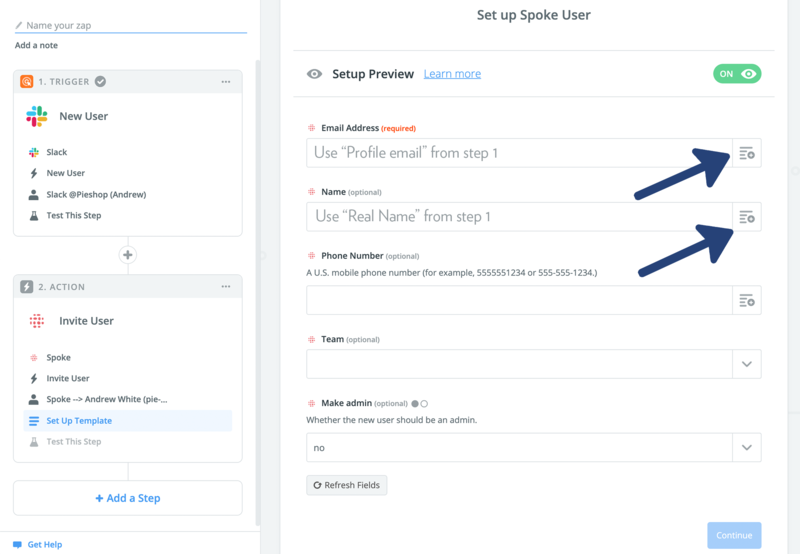 This means that each time a new user is added to Slack, Spoke will also invite that user automatically. 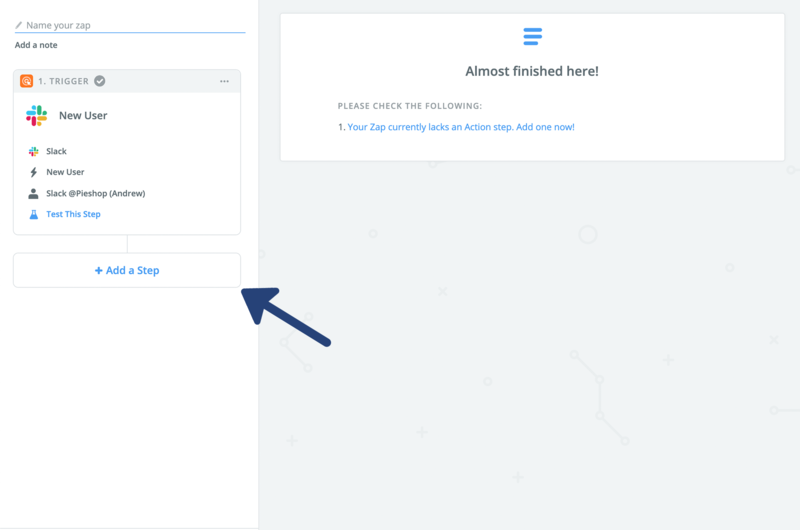 Select "Save + Continue"
In this section, it's important to use the "Profile Email" from step 1 in the email field. This ensures that each time a new user is added, they receive the email. 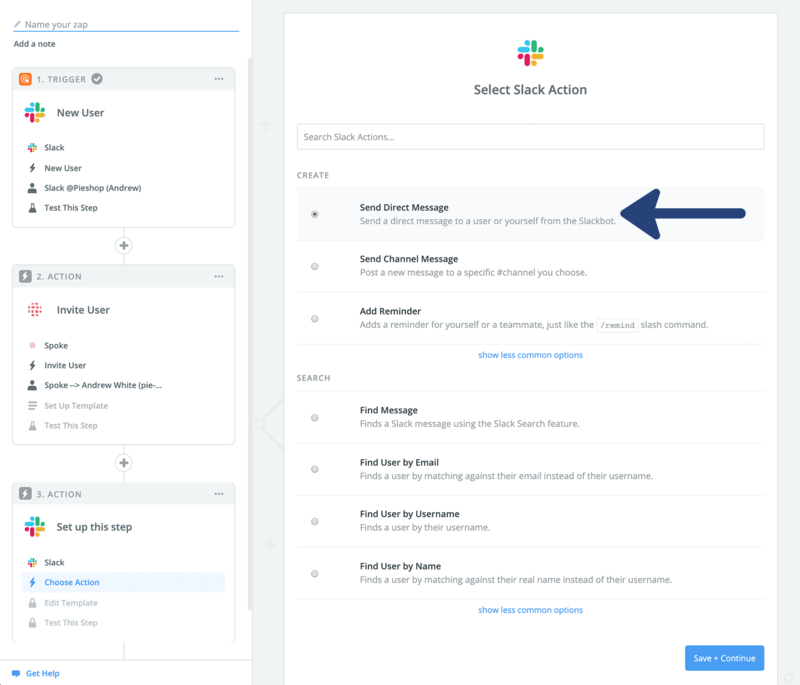 Scroll down and select "Add an action" Search for Slack again. Choose “Send a DM” as your action. From the options under "To Username" select "Use a custom Value"
From the "Custom value for username ID" dropdown, select "User ID" from step 1. 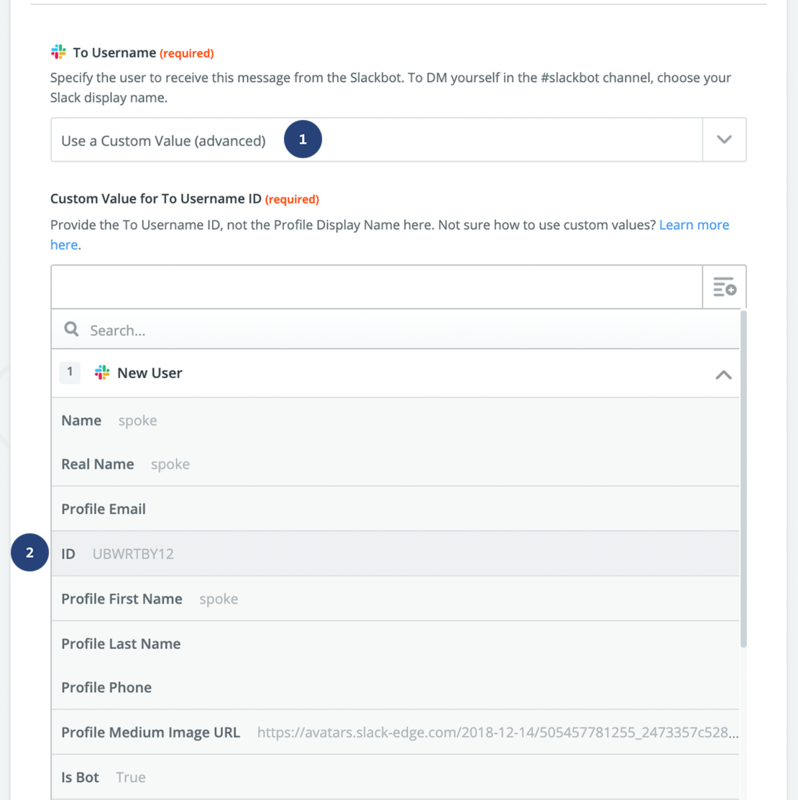 This ensures that the welcome message goes out to each new user who is added to your Slack instance. 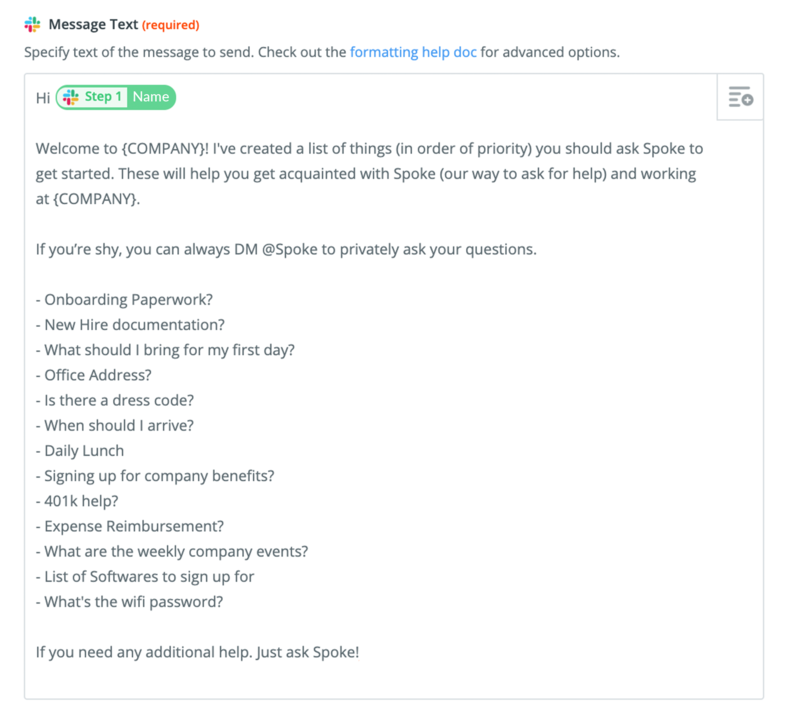 To personalize the template, add the new User's name from step 1, then enter your onboarding questions. We've developed a template to help you get started. Click here. Complete the remainder of the zap template, and choose save. 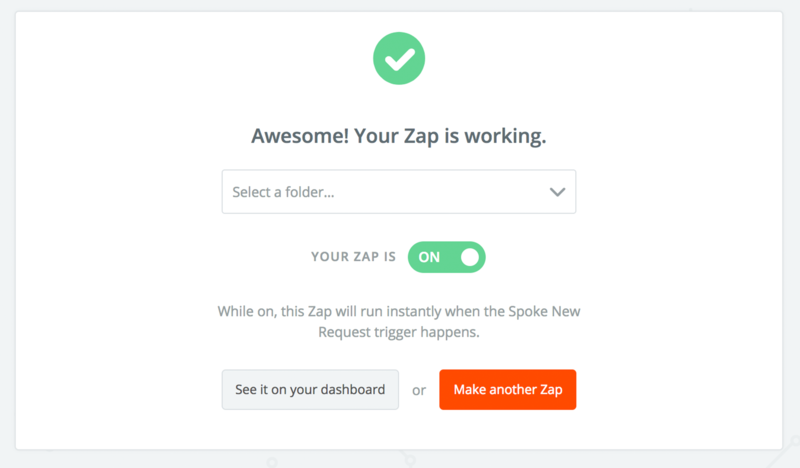 Make sure your Zap is toggled to "On"
Test your Zap, and you're ready to start your automated onboarding!